When it comes to your health, catching problems early is critical. Here are eight important health screening tests that will help give you some peace of mind. Medical advances have made it possible to screen for many different diseases and conditions that can be easily treated when caught early. A healthy lifestyle doesn’t just consist of exercising and eating right. Regular physicals and health screenings are part of a healthy lifestyle. No one enjoys going to the doctor and often wait until there’s a problem to finally make an appointment. This is especially true among men. However, as men and women age, there are certain health screening tests that should be done to check for common diseases and health conditions. Read more here for eight health screenings that you should consider. Even though men are reluctant to go to the doctor unless it is necessary, they are at risk for health issues that can be treated much more effectively when caught early. Overall cancer rates are on the increase. You can read more here. One of the more common types of cancer among men is colon cancer. By age 50, all men should have a screening for colorectal (colon and rectal) cancer. If there is a family history of colorectal cancer, a doctor may advise that men have this test even earlier. There are different tests for this type of cancer, by colonoscopy is the gold standard for screening for colorectal cancer. Prostate cancer is the second most common deadly cancer among men. There isn’t agreement among medical professionals as to when prostate cancer screenings should begin, so talk to your doctor to see when they recommend a screening for you. There are two main types of prostate cancer screenings: a digital rectal examination (DRE) and a prostate-specific antigen (PSA) test, that is often recommended for younger men who are at risk for prostate cancer. High blood pressure is the biggest risk factor for heart disease. Every man should have their blood pressure checked regularly. If you have a family history of cardiovascular disease or have other risk factors, you should have your blood pressure checked more regularly. Not only can high blood pressure signal heart disease, but it’s also an indicator for other health conditions. Once they hit age 35, men should get their cholesterol checked annually. If they are overweight or obese, use tobacco, have diabetes, high blood pressure, or a history of heart disease, these checks should begin even earlier. Although men and women share some of the same common medical issues and should seek out some of the same tests, such as blood pressure and cholesterol screening, there are unique tests that women should have based on their unique biological factors. Women should have Pap smears every three years starting at age 21 and continuing until age 65. Pap smears allow a gynecologist to examine cells for abnormalities that might indicate cervical cancer. Cervical cancer is a progressive disease, so catching it early is vital. If you have an abnormal Pap smear result, you should be screened more often than every 3 years, however. If you have a history of cervical cancer, if you’re HIV positive, or have a weakened immune system, you should also have a Pap test more often. A mammogram screens for breast cancer. It involves compressing a woman’s breast between plates so that x-ray images can be taken. There is some disagreement about how often women should have mammograms, as there is a high chance for false positives. In general, most doctors and organizations agree that you should start in your mid-40s and have one every two years. If you have a family history or other concerns, such as dense breast tissue, your doctor may recommend that you have them earlier and more often. Ultimately, your doctor will make the best determination of what age you should start having them, so speak with them. At age 65, women should start getting bone density screenings. These screenings help diagnose osteoporosis in women. The test is called a dual x-ray absorptiometry, or DEXA scan, and involves laying on a table while a low dose x-ray machine takes images of your bones. How frequently you have this test depends on your bone density and other risk factors. You may want to have this test earlier than 65 if you have certain risk factors, such as fractures or low body weight. Starting in their mid-40s, women should have a blood glucose test every 3 years. These tests check for diabetes or pre-diabetes. The acceptable ranges vary. The National Institute of Diabetes and Digestive and Kidney Diseases considers anything above 100 mg/dl to be pre-diabetic and anything above 126 mg/dl to be diabetic. Caught early, diabetes can be controlled with diet and medication. If you are at high risk for diabetes, as some who are obese or of a certain race or ethnicity, you should have the test earlier and more frequently. Combined with a healthy diet and exercise, these health screening tests can help you live a long and active life. Your doctor can provide the best advice as to when you should start having these tests and how often, but it’s important to educate yourself so you can act as your own health advocate. 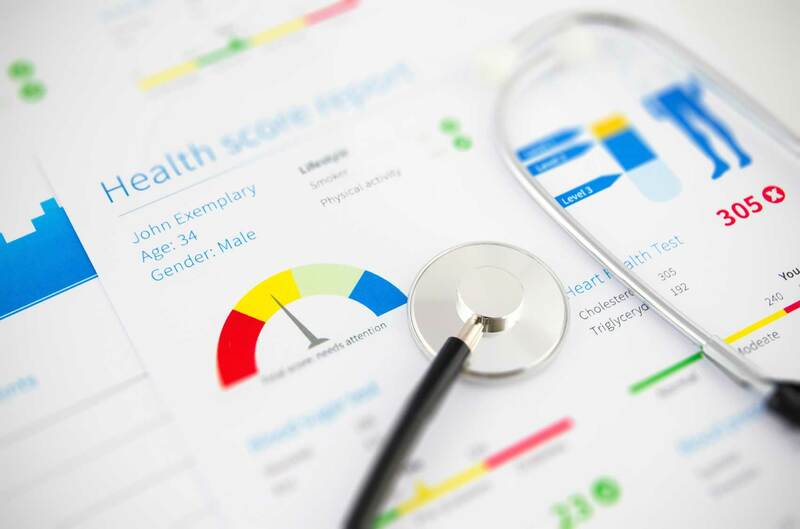 If you haven’t had a physical in some time and you fall into any of the risk categories or age ranges for these tests, set up an appointment with your doctor as soon as possible. Advances in medicine have made it much easier to catch and treat diseases early and effectively. Take a look around some of our other blog posts for more on healthy lifestyles, art, and travel.